You can view more images from Dia de los Muertos in our Photo Gallery. In case you're not familiar with this Mexican tradition, here's a little background. The celebration of ancestral spirits has been a Mexican tradition dating back to to 3,000 B.C, pre-Mayan and Aztec days. When the Spanish Missionaries arrived in Mexico in the 1700's they tried to abolish this custom with out any success. 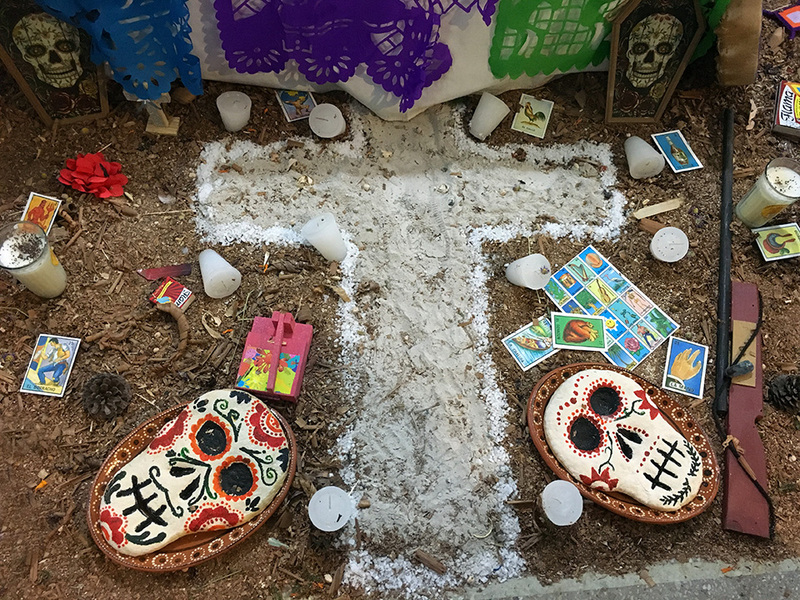 So instead they incorporated some Catholic icons from All Souls Day, and today the Dia de Los Muertos celebration encompasses traditional indigenous customs along with a few Catholic ones sprinkled in. 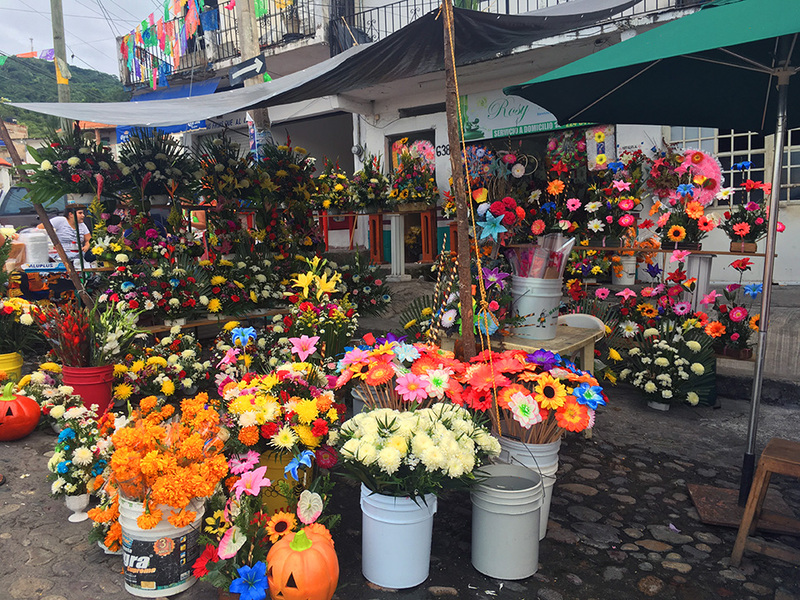 Each village, town, and city puts their own spin onto the celebrations, so you may experience different customs in different parts of Mexico. 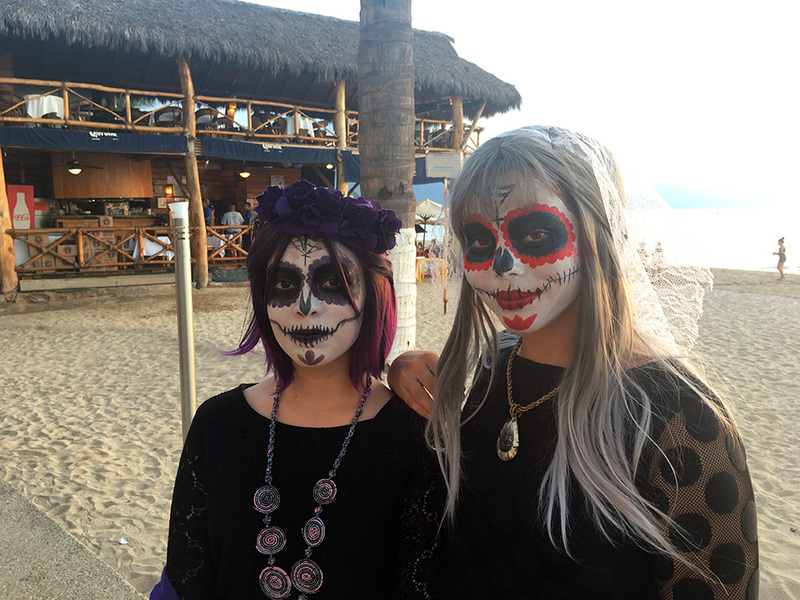 As we learned, the traditional painted faces and sugar skulls are just a part of the Dia de Los Muertos celebrations. 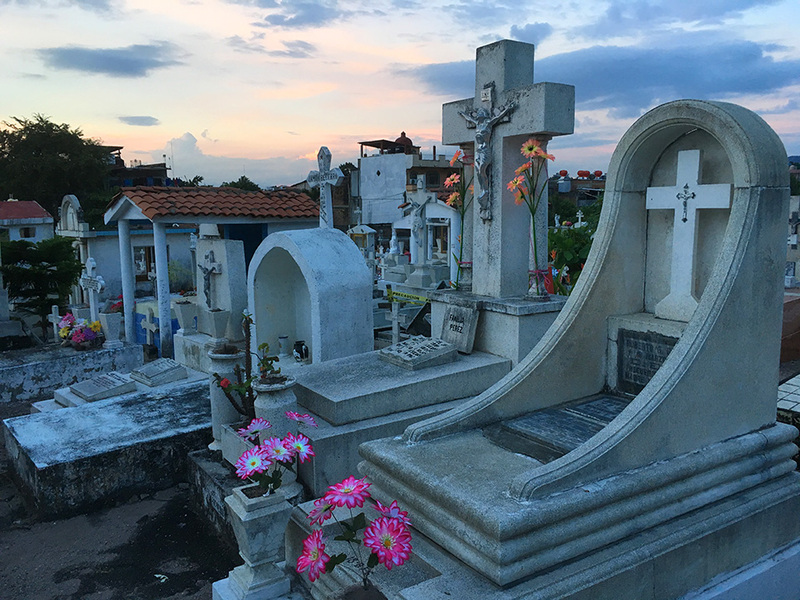 Graves and cemeteries are also decorated with bright orange, strongly-scented marigolds which help lead the spirits of the deceased ancestors back home for 24 hours of celebration each year on November 2nd. 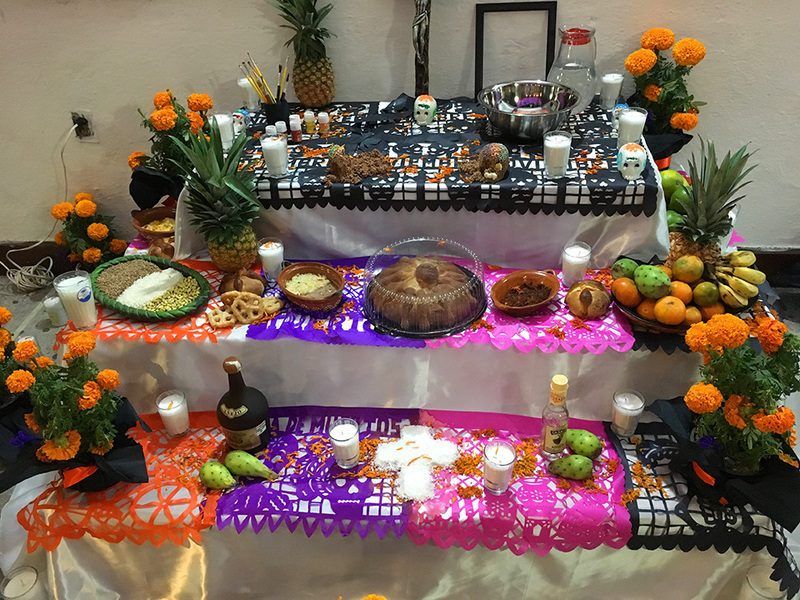 Family gatherings and parties to celebrate their ancestors include favorite foods and drinks of the deceased. This is a HAPPY time to CELEBRATE LIFE, and is not a sad, mournful event. As it was explained "we are not sad that they are no longer with us, we are happy that they have come back to party with us for one night each year." 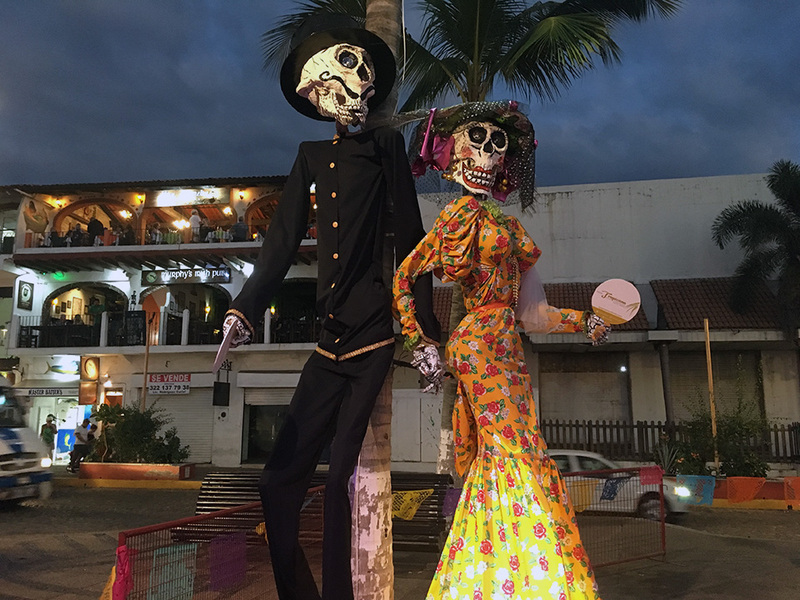 The festival in Puerto Vallarta culminates in a parade from the cemetery to the Malecon. No Tricks! We even got the Green Flash on Halloween night! In other news, Kirk has recovered great from his latest pacemaker re-wiring, and we're currently visiting family in the states while friends Judy & Paul are taking care of Tosh & Tikka for us. We MISS our furbies! Stay tuned for another blog post soon about our road-trip Mexican style! 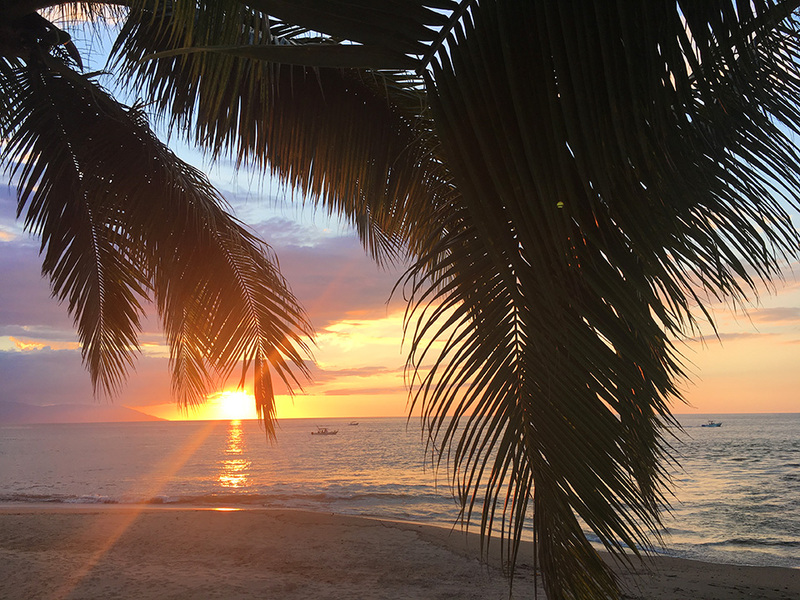 In the mean time we'll be enjoying Banderas Bay this holiday season, so let us know if your'e coming to PV for the holidays, we'd love to see you! 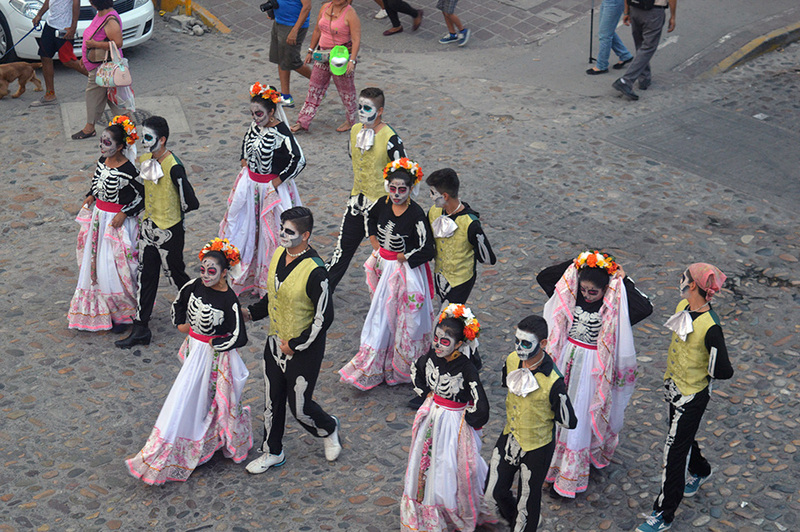 Check out lots more images from Dia de los Muertos in our Photo Gallery.